Earlier today there were reports that 2020 NHL Entry Draft top prospect Alexis Lafrenière was considering going the “Auston Matthews route” in his draft year, but leaving the Canadian Hockey League to play pro hockey in Europe. Lafrenière was reportedly in negotiations with teams in the Swedish Hockey League (SHL) and Swiss National League (NL) teams before ultimately deciding to remain in Canada and play with the QMJHL’s Rimouski Oceanic. The 17 year old Lafrenière has an outstanding 32 goals and 87 points in just 47 games with the Oceanic this season and has been pegged as the odds on favorite to be chosen first overall in the 2020 NHL Entry Draft. Of course, former first overall pick Auston Matthews of the Toronto Maple Leafs ultimately DID decide to turn pro in his draft year, signing a one year deal with the ZSC Lions of the NL in 2016. 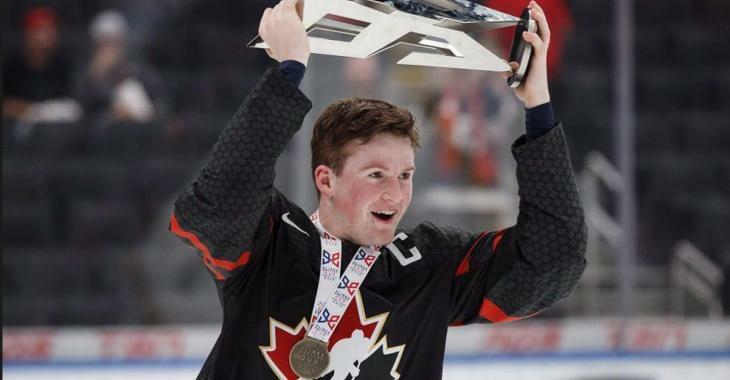 He ended up winning the scoring race and league championship that season, cementing himself as the 2016 NHL Entry Draft’s first overall pick just months later.